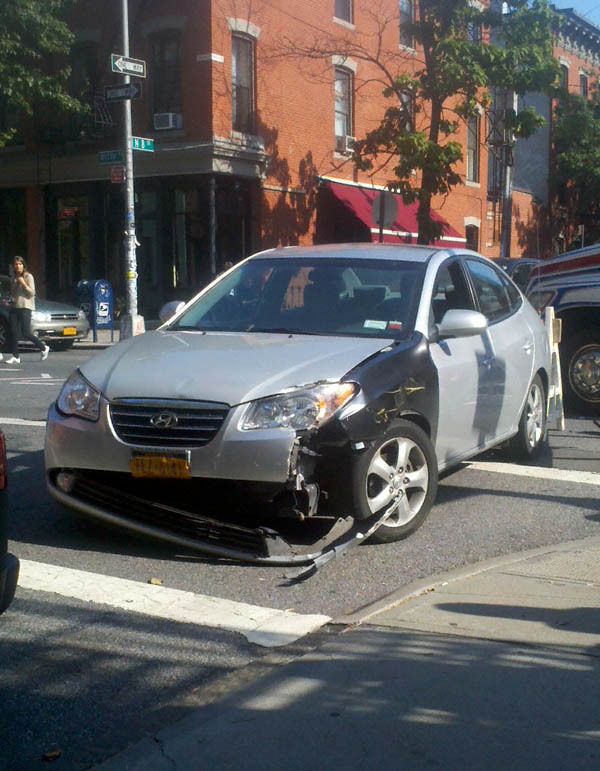 Per a fellow who involved in this accident (the driver of the above-depicted car), he was driving southbound on Wythe Avenue. 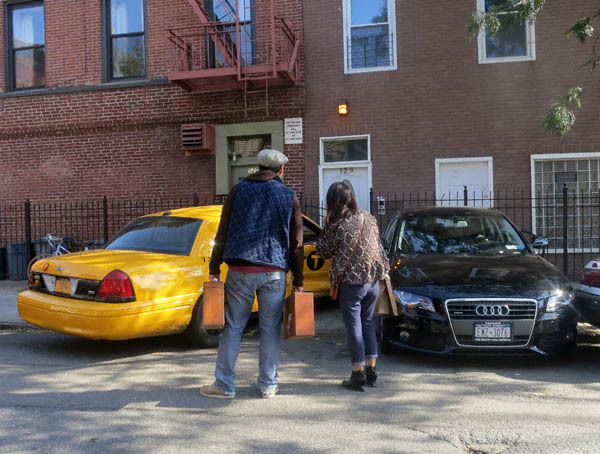 The yellow cab, headed westward on North 8 Street, failed to obey the stop sign. You can figure out the rest. 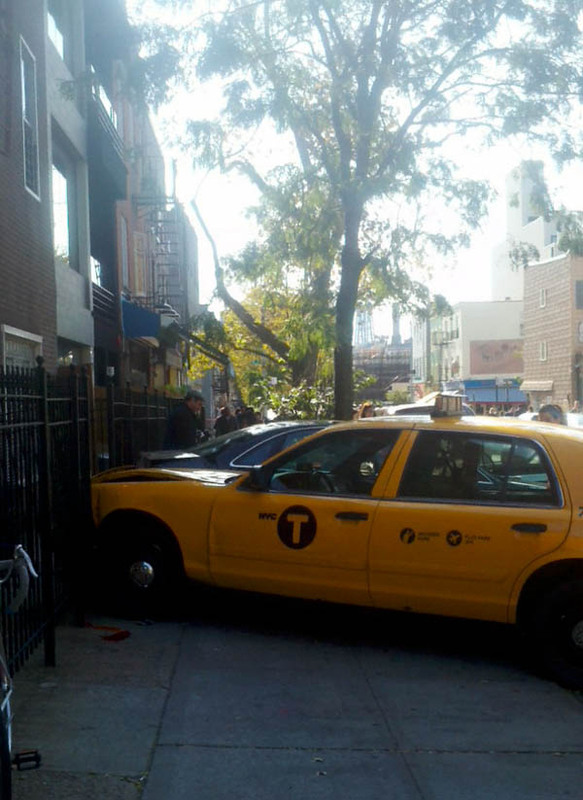 Apparently the operator of the cab initially tried to drive away. This failing, he then attempted to run away; a bystander grabbed him and took away his keys. Per a passerby who lives in the area several attempts have been made to have a stop light placed at this intersection. The Department of Transportation apparently felt one was not needed. The good news: no one was hurt. P.S. : Those of you who are interested can view larger format images documenting of the aftermath of this incident by clicking here.